I loved the photograph, but had been unable to find any background information. Luckily for me, there are some great people who read this blog. Jason Winslade pointed me in the direction of W.I.T.C.H. - Women's International Terrorist Conspiracy from Hell, who were a loose collection of independent feminist groups in 1968 and 1969. W.I.T.C.H. 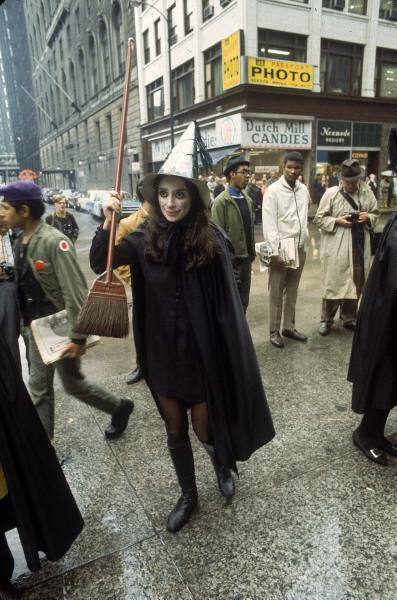 was formed in New York, but the Chicago "coven" seems to have been particularly active, using the imagery and tools of the occult to bring attention to women's issues. They combined guerrilla theater, camp and serious political activism - and apparently created quite a stir. 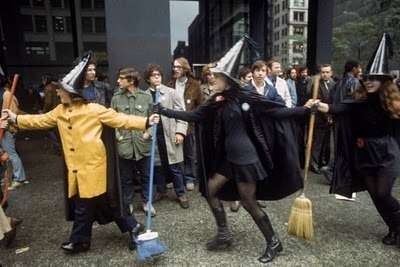 "Their activism mainly took the form of "zaps", a form of guerrilla theater mixing street theatre and protest, where they used attention-catching and humorous public actions to highlight political and economic complaints against companies and government agencies, frequently involving the use of witch costumes and the chanting of hexes. 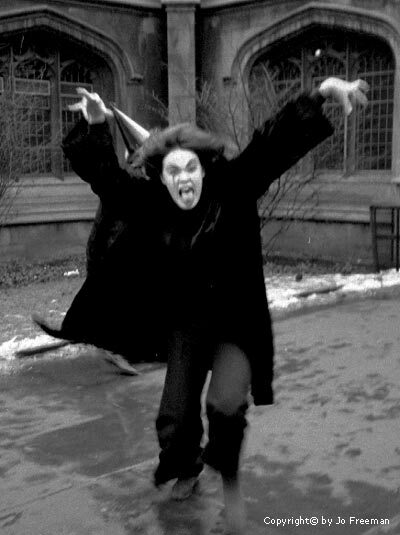 Witches often appeared as stock characters in feminist Left theatre, representing the misogynist crone stereotype." "Slowly, solemnly, the Witches filed around the Federal Building, faces dead white, staring straight ahead, flowing black capes swirling around them. "Our sister justice lies chained and tied," they chanted. "We curse the ground on which she died." 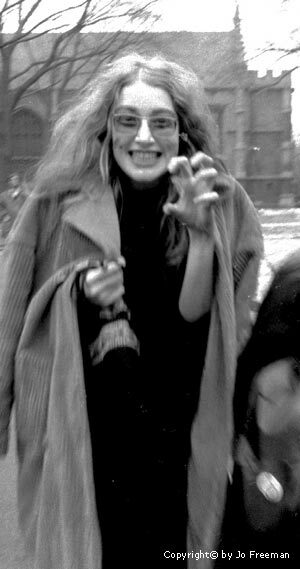 This was Halloween, the annual religious festival of the druidic witches, and a Chicago "Coven" of WITCH (Women's International Terrorist Conspiracy from Hell) had chosen the day to announce the beginning of a new, militant phase of the Chicago women's liberation movement." 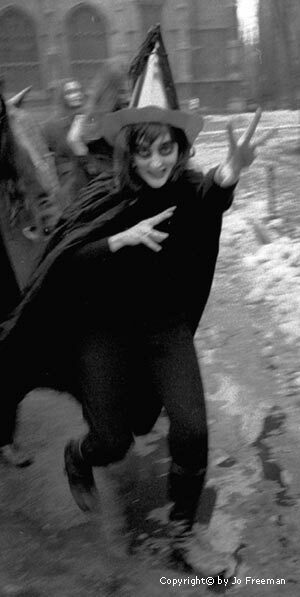 "Because WITCH actions could be done with a small group and were both fun and political, they quickly spread around the country. Boston women hexed bars. DC women hexed the Presidential inauguration. Chicago women zapped everything. On January 16, 1969, eight undergraduate women at the University of Chicago hexed the chairman of the Sociology Department, which had recently fired a popular woman professor. Dressed in black with their faces painted white, they told him to "beware of the curse, the witch's curse."" To burn CTA in freedoms' fire. These we cast into our fire.